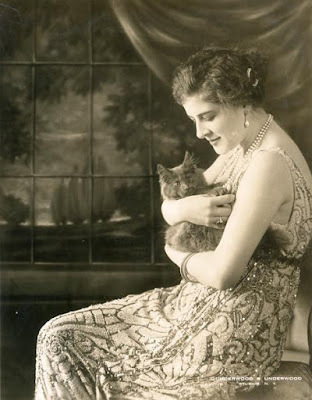 Ganna Walska (Polish opera singer) with a cat, ca. 1921. Source: Wisconsin Historical Society.